EVECCS is committed to promoting education and training for veterinary professionals (both veterinary surgeons and nurses/technicians) in the specialty of ECC throughout Europe. As a growing specialty there is a great deal of demand for education in this developing area at both undergraduate and postgraduate level. 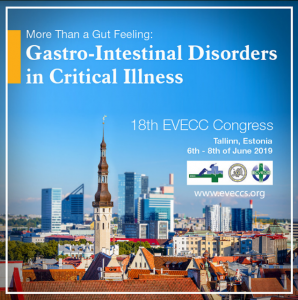 Together with ECVECC, EVECCS organizes and hosts the annual EVECC Congress held in June each year at various venues across Europe. This Congress has been growing steadily and currently attracts three to four hundred veterinarians and veterinary nurses mainly from Europe but also further afield. International speakers provide a varied and stimulating programme. Details of other ECCCongresses and ECC courses in Europe are also displayed here. The Central Organizing Committee (COC) is always happy to be contacted about education and training requirements for national or local groups within Europe and can provide ideas for suitable speakers and topics. The Journal of Veterinary Emergency and Critical Care is the official journal of EVECCS and VECCS and it publishes peer reviewed scientific articles related to the topic of veterinary ECC. Submissions from European authors are encouraged with members of the Society being active in the Editorial review process. Recently the European College of Veterinary Emergency and Critical Care was founded. Its mission is to advance the knowledge and high standards of practice in veterinary emergency and critical care medicine in Europe and increase the competency of those who practise in this veterinary discipline. Three institutions within Europe offer Residency Training Programmes.